Interesting alternative to devote some time swimming in Issaquah. Is it not your first time here? Tell us how it went utilizing the Facebook comments below or contacting us directly! 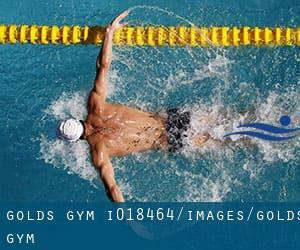 Gold's Gym is only one of all of the swimming pools Swimia is providing you, and its facts has been shared with us by a swimmer like you.Remember you are able to now promote Gold's Gym by sharing this page with your friends, adding comments and linking to us. This sports center offers 25 yardsm, 5 lanes, Salt Water, Non-Chlorine Sanitized, Indoors. Contact facts for this Swimming Pool which include phone number and e-mail address are number. On the campus of Trinity Lutheran College , 4221 228th SE , Issaquah , WA , USA (Postal Code: 98029). This sports center gives 30 yards x 40 feet, Indoors. For this Pool, only phone number is number here. Updated on 2019 50 S.E. Clark St. , Issaquah , WA , USA (Postal Code: 98027). This sports center delivers 25 yards x 43 feet, 6 lanes, Indoors. For this Swimming Pool, only phone number is number here. Updated on 2019 2115 NW Poplar Way , Issaquah , WA , USA (Postal Code: 98072). This sports center provides 25 yards, 4 lanes, 4 feet depth, Indoors. Contact information for this Swimming Pool for instance phone number and e-mail address are number.